Bo Peep! Bo Peep! Bo Peep! Sure, it was a historically low rated and dull Super Bowl, and sure, most of the ads seemed like dumb fluff from advertisers who grow more and more bored with the world around them in a risk averse culture, or robots being tortured, or depression done ironically or both. 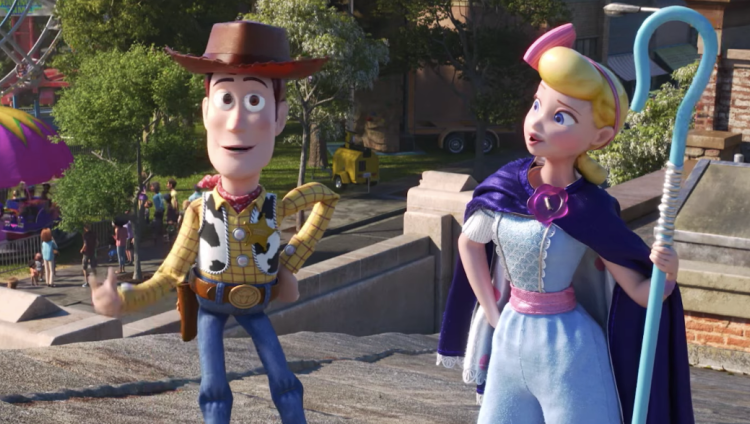 But one thing all Americans can agree is good wholesome fun: the new Toy Story 4 ad, folks! It was thirty seconds long but gave us a lot of good clues about where this new franchise will go, from Bo Peep’s new kickass return, to Key and Peele’s return as a stuffed duck and rabbit on the carnival grounds. 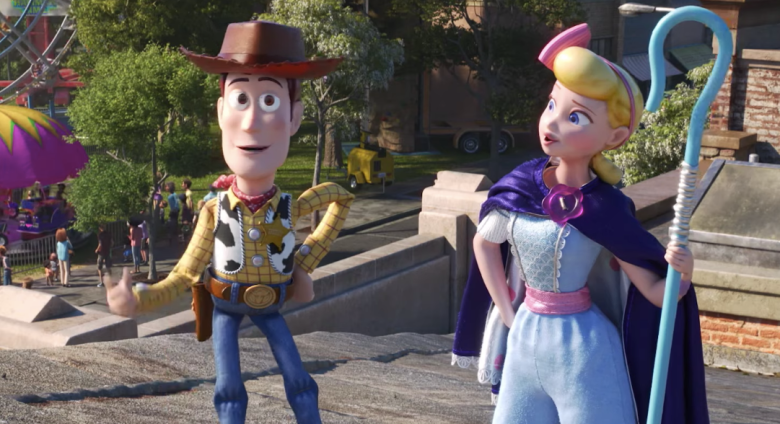 The ad reaffirms the clues from the earlier Key and Peele ad we saw on TV: the new Toy Story will take place at a carnival, it will include some conflict between the carnival toys and the toys we’ve grown to know and love. No new information on how Forky, that beloved anthropomorphic fork, ties into this entire thing, but we do know we’re along for the ride and, undoubtedly, all the tears that are going to pour forward once we’re forced to deal with our personal sources of pain and loss as triggered by like– a G.I. Joe missing his owner or whatever. Look. We’re ready. We’re excited. We want to cry. We need this emotional release as a nation. Just please, I beg of you, don’t melt. Mr. Potato Head down to a bunch of tiny little fries. I just don’t know if I could handle such tragedy. If Slinky Dog’s slinky gets tangled, I don’t know what I’m going to do. Cry into my sleeve until someone drives me home, tucks me in, and promises me my toys are huge inanimate bits of plastic incapable of feeling loss and pain. What did you think of the trailer though? Let us know in the comments or on Twitter at @WhatsTrending.